Europe at the crossroad - how can progressive forces ally to change Europe? The rise of the European far right is noticeable on the streets, in the parliaments and even in several European governments. Europe’s future is at a crossroad. Next year will be the most important European elections that the history of the European Union has ever seen. Will the far rights extend their power and continue destroying the efforts of liberal democracy? Or will the progressive forces overcome the conservative stillstand politics with a positive common vision of an ecological, social and democratic Europe? In this times, combined efforts of the progressive forces all over Europe are required. But how can the cooperation between progressive movements and parties be improved? Why do ecological politics always touch social issues? Do boundaries between parties and movements shrink? How can we benefit from different spheres of influence in parliamentary and extra-parliamentary work and engagement? What do movements like “Seebridge" and “Ende Gelände” expect from the European elections? And how can we turn all the political threats into a chance for progressive politics? We invite you to share your thoughts and discuss those questions and other questions regarding the mobilization for the next European elections with us and our panel speakers Ruben Neugebauer, spokesman of Sea Watch -and the sea bridge movement- and Zuzana Pavelková, spokesperson of the Federation of Young European Greens (FYEG). Gwendoline Delbos-Corfield (Committee member of the European Green Party) and Ricarda Lang (spokeperson of Grüne Jugend) will welcome you; and Jamila Schäfer (International and European Secretary of Bündnis 90 / Die Grünen) will. moderate the debate. 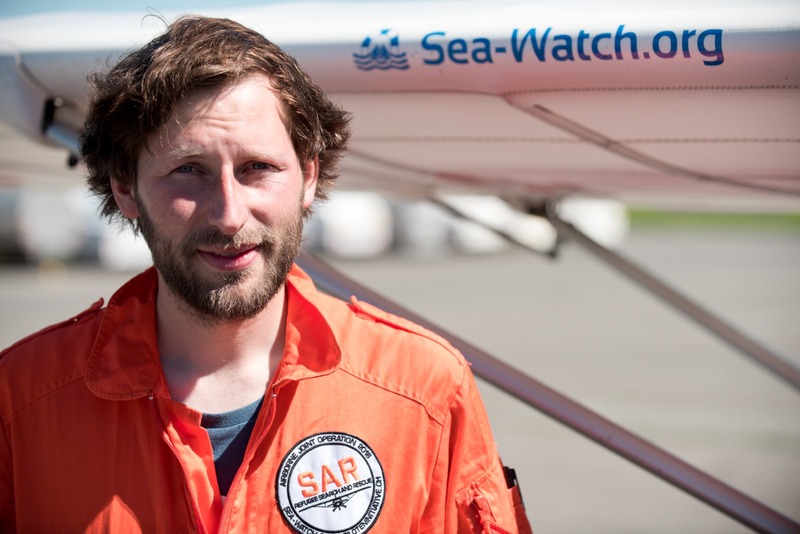 Ruben Neugebauer is co-founder and spokesman of the Sea-Watch rescue organisation. Since 2015, he has been on rescue missions with the three Sea-Watch ships and was responsible for the organisation's aviation reconnaissance programme. Sea-Watch has been working on making itself superfluous since its inception, which is why the organisation is committed to safe, legal escape routes and stands for a Europe of solidarity of the many. In addition to his voluntary work for Sea-Watch, he works as a journalist, with a focus on migration routes to Europe and the causes of flight. Zuzana is the Co-Spokesperson of the Federation of Young European Greens – FYEG. Originally from a small city in Northern Bohemia, Zuzana had the chance to experience different European realities while living in Germany, France, Hungary, the Netherlands, Czech Republic and Bosnia and Herzegovina. This made her ultimately fall in love with Europe. 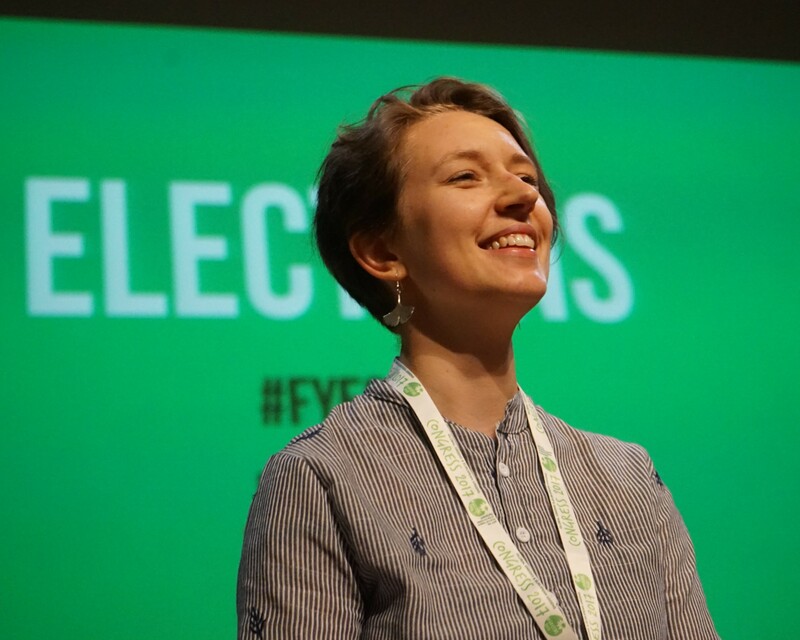 She joined Mladí zelení (Czech Young Greens) after working on the European elections campaign for the Czech Green Party in 2014 and became quickly active at the European level with the Federation of Young European Greens. She became Co-Spokesperson of the Federation after serving at its Executive Committee between 2017 and 2018. Zuza’s favorite tools for changing the society are law, civil disobedience, and memes, at best in combination. Jamia Schäfer is Vice Chair of Alliance 90/The Greens Germany and European and International Secretary of the Executive Committee. Previously she has been member of the executive committee and spokesperson of GRÜNE JUGEND. Jamila Schäfer holds a Bachelor’s degree in sociology and philosophy from the Goethe University Frankfurt and Ludwig Maximilian University Munich. Additionally Jamila Schäfer studies sociology and philosophy (M.A.) at Ludwig Maximilian University Munich.